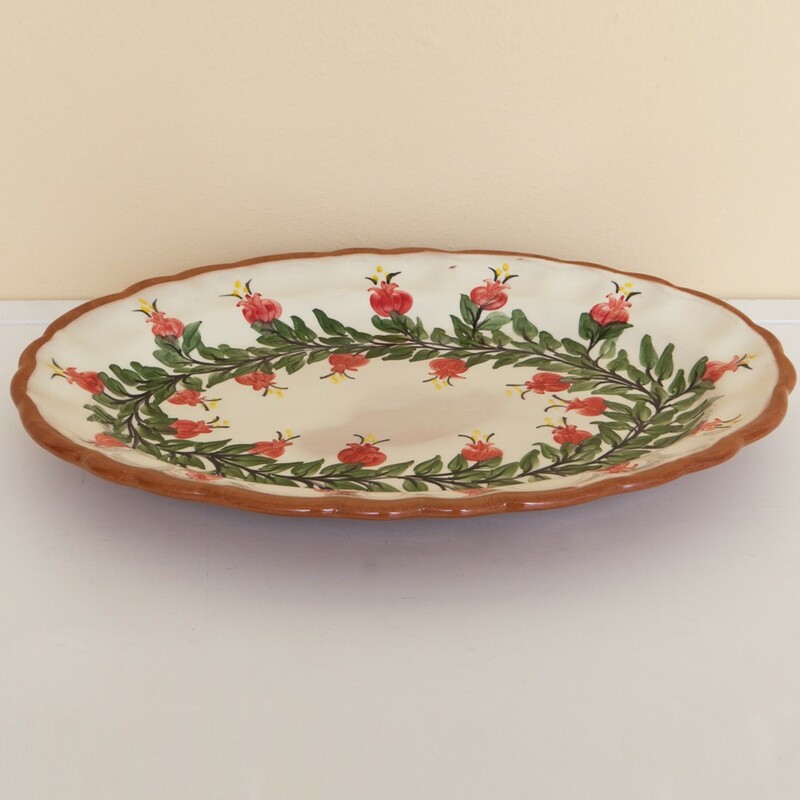 Serve a delicious meal or salad on this ceramic decorative platter and enjoy gatherings in a sophisticated and yet relaxed style. 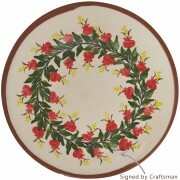 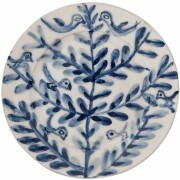 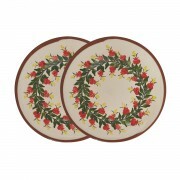 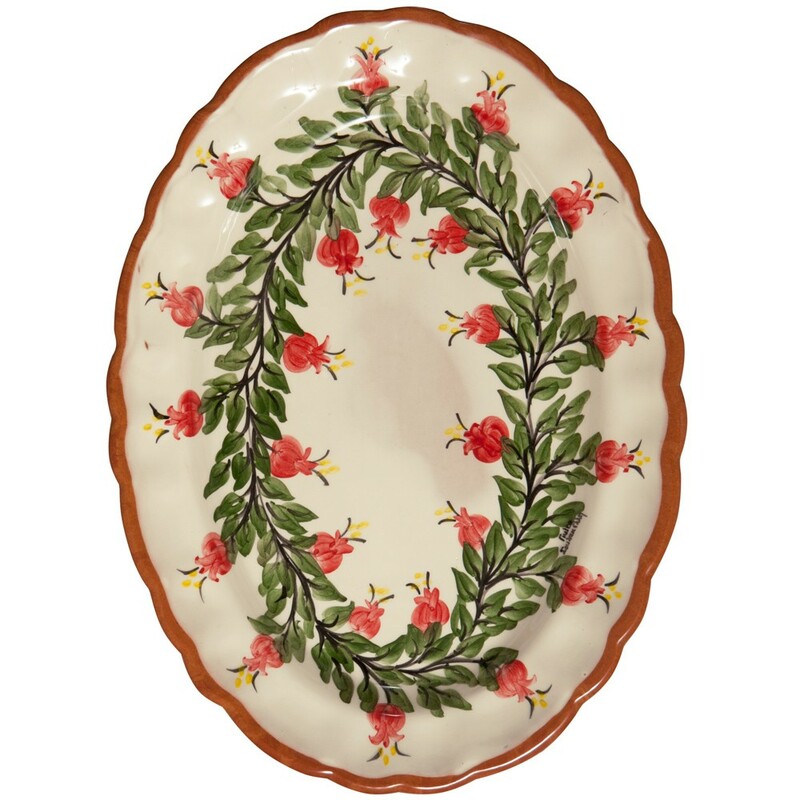 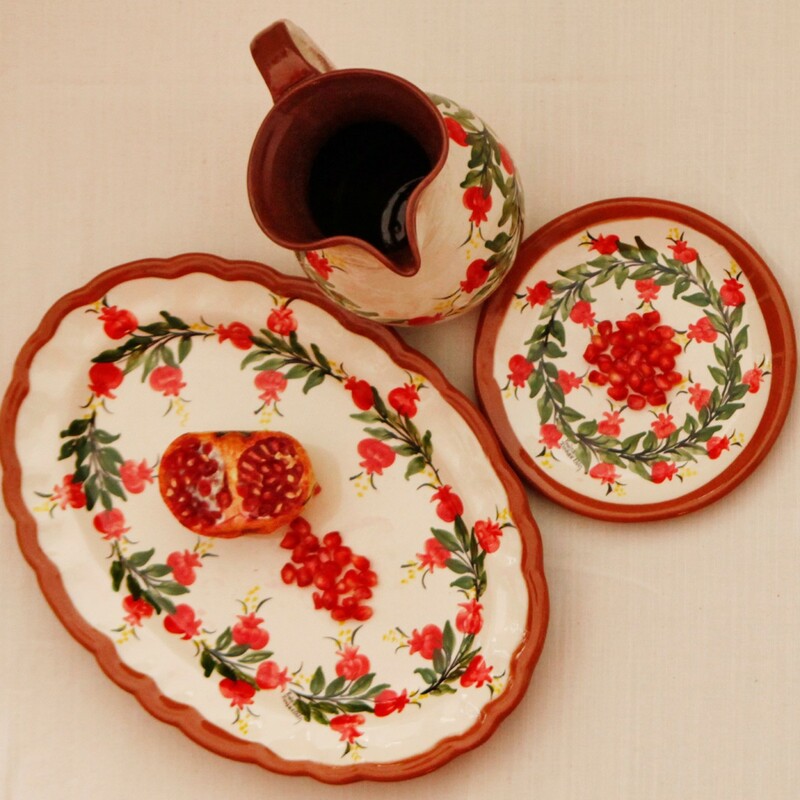 This oval ceramic platter is handmade and on top finelly artistically hand painted with an impressive pomegranate wreath. 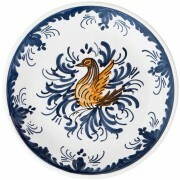 34.5 x 25 cm | 13.6" x 9.8"